The internet has become an important tool to sell real estate since 42 percent of home buyers begin searching online for homes before contacting an agent, according to the National Association of Realtors. Getting indexed in YouTube is actually much quicker and easier than waiting months to show up in Google Search. Real estate naturally has visual appeal, which is why it makes sense for home buyers and sellers to spread their message through YouTube, in which videos can be linked on your website. Video popularity has surged because of YouTube, which will house your videos for free after you sign up for an account. That fact alone will save you thousands of dollars in hosting fees if you were to host your own videos with proprietary solutions. Another major advantage to YouTube is that it’s actually a social network that allows you to interact with followers who post reviews of your videos. Since the real estate business is all about relationships and referrals, it becomes a huge help when YouTube brings you leads to your videos. In addition to posting videos on YouTube and on your website, you can further extend your reach by sending video links in email messages to customers in your database. Real estate is ideal to promote through videos because it’s high end and consumers more than ever use the internet to find the best deals. Making a video for each home you are selling and taking viewers on virtual tours will give your business a clear edge over competitors who don’t bother with videos and rely on photographs. Even though real estate is a high end industry, it doesn’t mean you have to make high end expensive videos, regardless of what you are selling. The most important aspect of your video work is that it needs to be presented in storytelling manner. People aren’t going to judge your real estate video the same way as a television commercial if you design it to be informative rather than persuasive. The biggest difference between television and YouTube as far as selling is that TV commercials interrupt programming whereas YouTube videos are what people seek based on tags that categorize and identify the content. The main point to posting any videos on YouTube is to enhance communication. As long as you concentrate on showing viewers amazing and colorful aspects of homes, you won’t have to worry too much about your speaking ability or appearance on camera. One of the best ways to approach online videos is to forget about all the rules Hollywood has taught you subconsciously about video production. While Hollywood floods the market with expensively produced shallow content movies, you need to think the exact opposite by putting the focus on content rather than technology. Camcorders or smartphones work fine in the YouTube space. You can either use rudimentary devices to make your video or you can hire a video production company. Either way it should not come close to the cost or producing a television commercial, since you want to keep the technology basic and the content rich. You may decide that you have a budget to shoot videos with elaborate crews, which will only make videos look better. Whatever route you decide, pay attention to lighting. Even though video crews use expensive lighting, you can save money by experimenting with existing lighting. Video production has become amazingly simple if you have a video editing program such as iMovie, which comes loaded on an iMac, or Windows Moviemaker for PCs. You can learn the program in less than a day. It allows you to put your video footage on a timeline and make simple edits in a matter of clicks. The software also lets you add titles and transitions. As long as the video is informative, colorful and the audio sounds clear, it has a good chance to connect with people. The way many users will discover your video is through the YouTube search engine, which is based on tags. In your account you have tools to control how your video is indexed. The key to successful real estate is building relationships that lead to referrals. Social media has become the most powerful tool for building business relationships online. Many real estate agents now spend plenty of time nurturing these relationships on Facebook, Google+, Twitter, LinkedIn and Pinterest. The idea is to avoid hard selling and just share relevant information since that’s what users are already trying to research. Sharing videos helps stimulate interactive conversations from your most loyal followers. 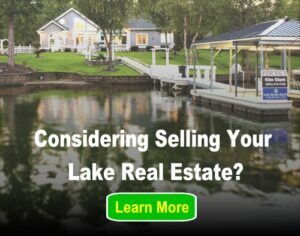 Next post: Should I Buy A Lake Home or a Lake Cabin?